In terms of iconic Northfield attractions, the Archer House is toward the top of the list. The riverside hotel turns 140 this year and much like the Cannon River it resides next to, it too has survived the ebbs and flows of time. As the hotel celebrates its 140th birthday this year at one of its healthiest moments in its existence. From July of 2009 to 2017, the Archer House has seen a 250 percent increase in revenue, Byhre said. The hotel sees around 20,000 guests annually these days, which comes after several years of revamping the building. The hotel opened Aug. 23, 1877 with 50 rooms and underwent a series of ownership changes before Dallas Haas purchased the building in 1981. The hotel was known as Stewart Hotel when Haas bought it but had previously been known as the Ball Hotel and as the Manawa Hotel. Haas poured considerable time and money into revitalizing the building and brought retail shops and restaurants into the space. Fifteen tons of brick on the third floor alone were removed, according to the Northfield News archives. But after he died in 1995 due to a heart attack in the Archer House, the hotel’s future wasn’t clear. A group of investors stepped forward to purchase the hotel and keep it vibrant. That group included Rebound Enterprises CEO Brett Reese, who continues to head the parent company of the Archer House. It wasn’t easy to do at times as landscape of downtown started to shift. Buildings had started turning into condos in the area and discussions about the Archer House’s future started taking shape. “At the time in 2006, a lot of the downtown buildings were starting to become condoized,” said Rebound Hospitality Chief Strategy Officer and Principal of Rebound Enterprises Jennifer Sawyer said. 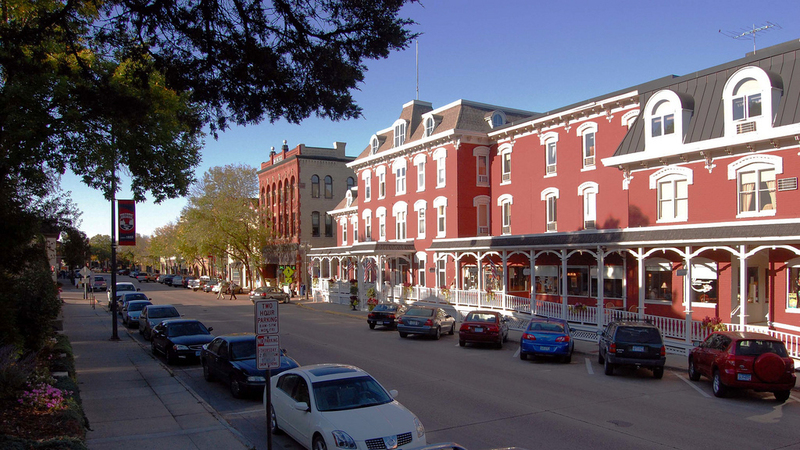 The group studied other hotels near colleges like the Hanover Inn at Dartmouth, the Inn at Harvard, which later closed in 2013, and Morris Inn at Notre Dame to understand the connection those colleges had to hotels in the community. They found out the hotels and colleges shared a unique relationship. Once the group decided to hold on to the hotel it sought out someone who could not only manage it but make it thrive. They found Byhre, who had once turned down a group who asked him to manage it back when Haas died in 1995. Byhre had grown accustomed to managing larger hotel operations, like the Crowne Plaza in Eagan, a 430-room complex near the Minneapolis St. Paul International Airport. But Byhre took a look around in 2008 and found the building in good shape structurally, though there was plenty to update inside. Serious renovations took place shortly after Byhre’s hiring. The building needed upgrades to its life safety components and needed to become compliant with the Americans with Disabilities Act. Byhre led efforts to revamp the guest rooms and later the fourth floor great room. The Archer House got $100,000 from the city of Northfield for the restroom renovations while a total of $1.2 million poured into fixing up the hotel in a span of three years from 2009 to 2012. The hotel has had longtime tenants like Chapati, the Tavern, A Bag Lady and Paper Petalum to drive traffic. Having those tenants, along with the recent addition of Smoqe House keeps the area one of the busiest in Northfield. “That just adds to the vibrancy of the building, which adds to the vibrancy of the downtown,” Reese said. 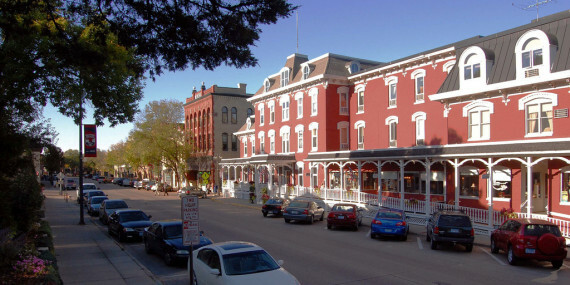 Rebound Hospitality operates two other hotels – Hotel Winneshiek in Decorah, Iowa and Des Lux Hotel in Des Moines, Iowa —and the Archer House is the busiest in part because of the boutique model it employs. With the 80-room Marriott Fairfield Inn and Suites hotel, which is also owned by Rebound Enterprises, set to open in the spring of 2018, the Archer House expects to see even more traffic coming. “With the extension of the Marriott property we’re now extending that front door,” Archer House Manager Arianna Eagar said. Since 2009, the Archer House has completed renovations to every room and will begin the second wave of upgrades. With the new hotel on the horizon, the Archer House has plans to scale back on the number of rooms it will have. The Archer House will reduce its rooms from 36 to 31 in the future. This summer exterior work will take place and the last of the 10 small rooms will be consolidated into five, larger rooms. Nick Gerhardt is the Northfield News Associate Editor. You can reach him at 645-1136. Follow him on Twitter @NfldNewsNick.